In case you have missed some of my features, here as an archive of past features. They are sorted from oldest to newest. Read my article from Antique Radio Classifieds on a very special RCA receiver! 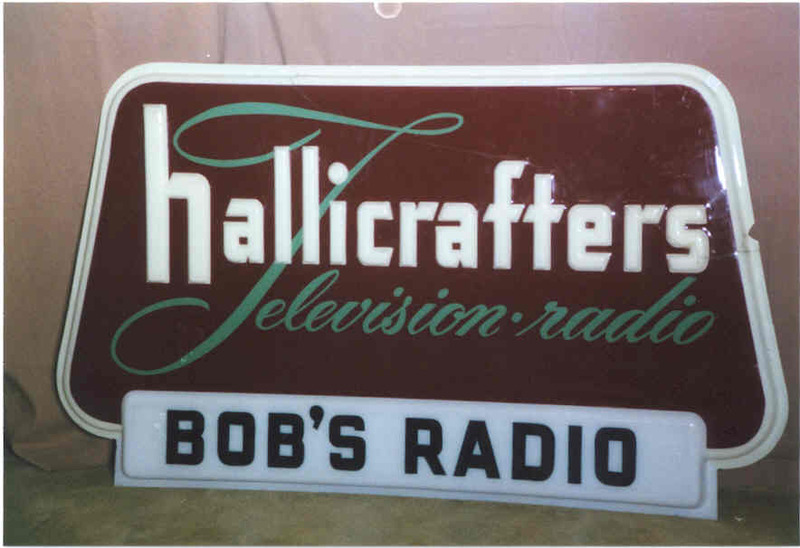 Here's a Hallicrafters sign I picked up recently. Visit	the new Canadian Hallicrafters area. Check out Chuck's Radio and TV Room and Office in the expanded museum area! Found: A modern-looking Hallicrafters 2-Meter Multi-mode Base Prototype! Check out the H2M-1000. E.H.	Scott RBO-2 Troop Receiver, as well as two more Canadian radios! Take a look at	another batch of Canadian Hallicrafters have arrived for the collection. Are you a member of the Hallicrafters Special Police? Take a look at the pictures of this extremely rare item. Would you believe Hallicrafters made an air ionizer? Look closely - you can see physical similarities between this and other Hallicrafters products.